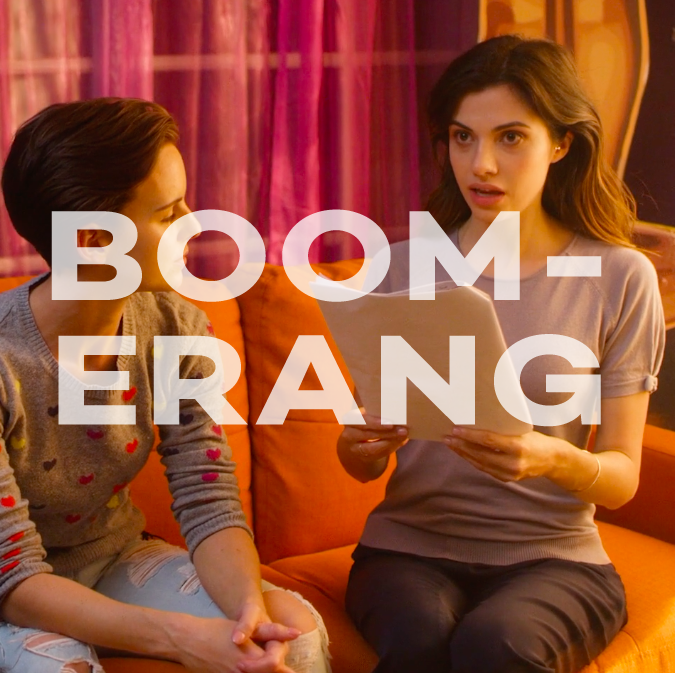 Boomerang is a TV pilot by David Raynor of Bad Hat Films, filmed in 2018. The pilot was filmed in an apartment that was initially empty with white walls. To create the requested bright, TV-sitcom set I painted the apartment purple and orange (a nod to Friends, which the show takes inspiration from) and commissioned an artist to create a Hollywood sign on one wall. I also brought in furniture and decor for a full living room set, and a bedroom set, as well as stocking the kitchen, and dressing all rooms in the “crazy Hollywood” style of the brief.